A collection of twenty-four video vignettes that depict power-and-control tactics used by men who batter. Each vignette corresponds with a curriculum theme. 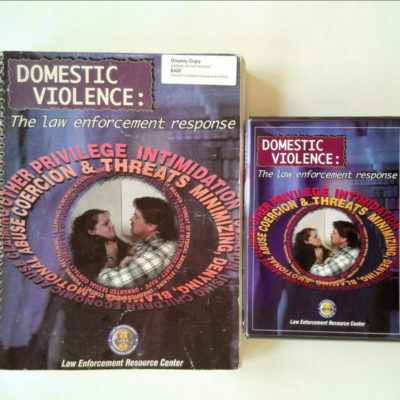 Features women who have been battered describing how men used tactics on the Power and Control Wheel against them, and men who have battered discussing how they used the tactics. 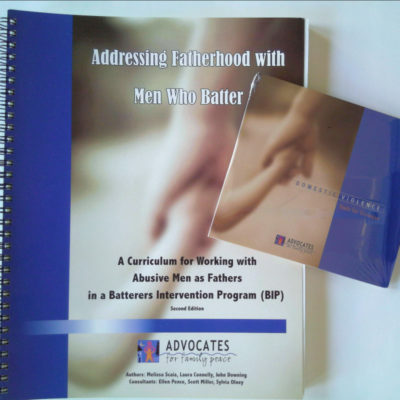 Gives facilitators context for understanding impacts of battering, and helps men in groups see how violence affects victims. Excerpts from a Duluth Model men’s group led by experienced facilitators, interspersed with the facilitators’ reflections about the group process. 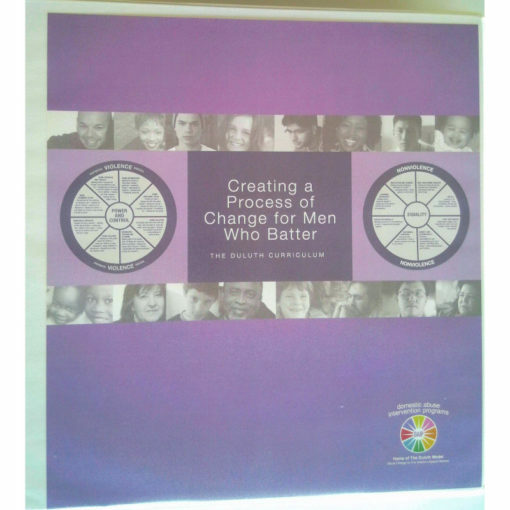 Gives examples of how to start a class, use the Control Log and Equality Log, and lead role-plays. 22″ x 20″ posters that illustrate power and control tactics and aspects of relationships defined by equality. More details about changes in the 2011 curriculum. Because our experience tells us training is valuable and necessary for understanding this curriculum and using it as effectively as possible, we ask those who are interested in buying and using it to complete one of our training programs designed especially for it. 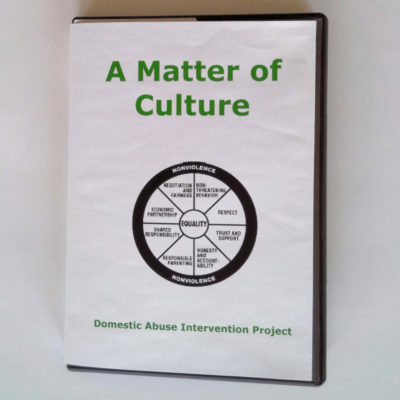 DAIP curricula are grounded in the Duluth Model, a constantly evolving philosophy based in DAIP’s work to end men’s violence against women through coordinated community response. The philosophy and concepts that guide the material can be challenging for both new and experienced facilitators. The prerequisite to purchasing this curriculum is having completed the curriculum training within the last 10 years.